The munshids, religious singers performing at Sufi dhikrs, form a profession separate from secular singers. 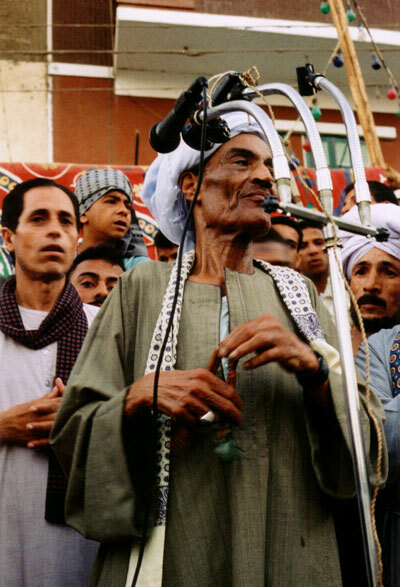 Sufi singing requires artistic mastery like any other art, but it is seen primarily as a divinely inspired religious mission. This is why munshids carry the title of sheikh preserved for people with religious authority. Most Sufi singers are men but in the Nile Delta region that is somewhat more liberal than the south, there are also female Sufi singers. Munshids perform not only at mawlids but also at private occasions. Some people prefer to hire a munshids instead of a secular singer to sing at a wedding.